SUBWAY® is the world's largest submarine sandwich chain and has received countless awards and accolades over the past 40 years. 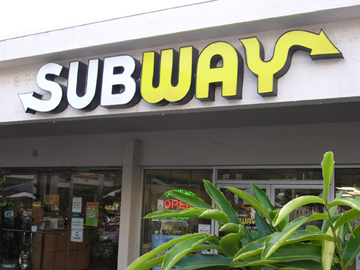 Offering a more nutritious alternative to fast food, Subway stands by its tagline to "Eat Fresh! ".